Temperatures have been dropping to below minus 30 centigrades as curators have hectically prepared for this year’s winter festival. 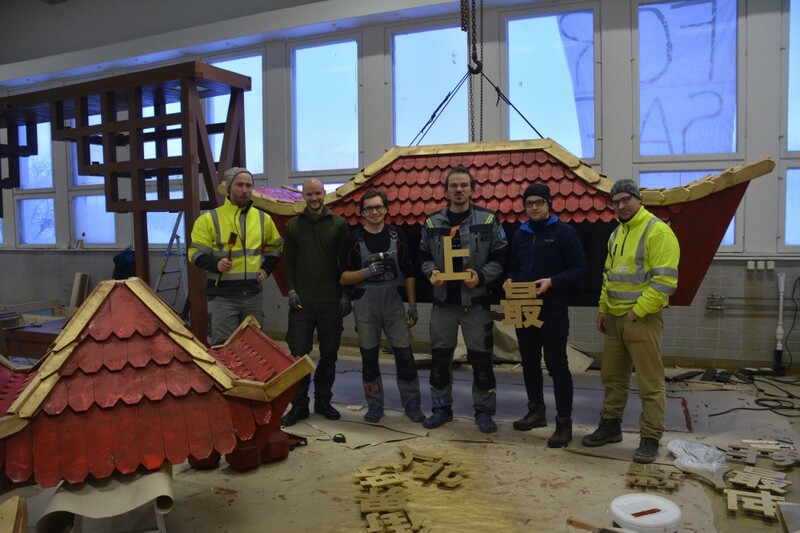 The small north Norwegian town of Kirkenes is getting an East Asian facelift. Shops are decorated with lightboxes, Chinese signs are in the streets and a major Chinese-inspired gate has been erected by the local pedestrian zone. For the past weeks, an Arctic chinatown has been rising in this town located near the border to Russia and Finland. It is a stunt undertaken by curator group Pikene på Broen and it is made on the background of the increasingly active role of China in the north. «We have branded this year’s festival the World’s Northernmost Chinatown, and we want to raise questions about the future Chinese engagements in this town and this region,» says Helle Siljeholm. She is artistic director for Barents Spektakel, the contemporary arts and music festival that for the past 15 years have been organised in Kirkenes. It is managed by curator group Pikene på Broen. The festival has always operated in the crossroads between big politics, business, arts and culture. So also this year. «As receding sea ice opens shipping routes to the north, and unimaginable levels of global investment revitalise ancient overland trade routes, the time is right to welcome China to Kirkenes and create a future of prosperity and cooperation,» the festival organisers say on their website. «We are living in a golden age of China,» they underline. But Chinese engagements in the north is more than geopolitics, Silheholm makes clear. She wants the festival to be a venue for discussion about future possibilities and underlines that music, food and arts are key parts of the program. The Chinatown installations will only stand for about a week, but they might ultimately trigger thought and reflection that could live for long. And shape ideas about local future cooperation with the Chinese. «We want to brings onboard questions about a possible reality, a possible future,» the festival director says to the Barents Observer, and underlines that several different voices will take part in the debates. China is far away. 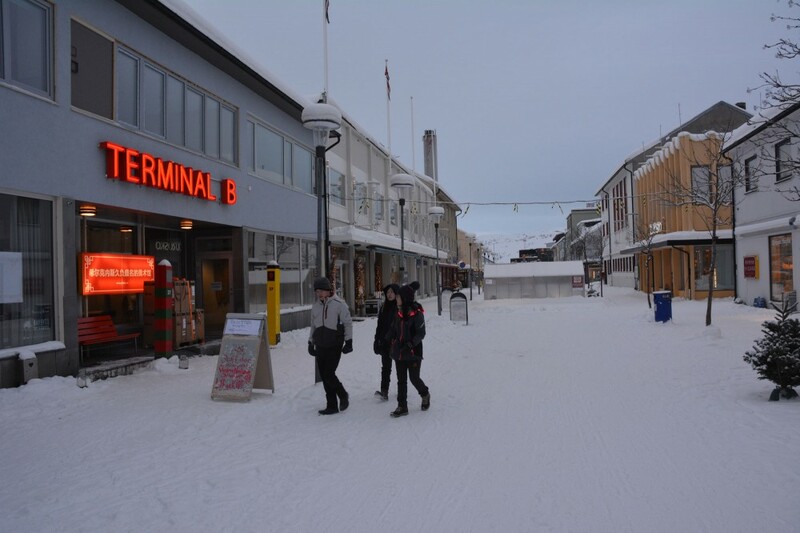 But Kirkenes is not unfamiliar with Chinese visitors. Over the last years, the number of Chinese tourists has boomed and local authorities have hinted they want Chinese investors for planned infrastructure projects. The local town mayor has established friendship relations with the Chinese town of Harbin and delegations from both sides repeatedly pay visits to each others. The municipality’s strategic location on the Barents Sea coast near Russia and Finland makes it a potentially key spot in future Arctic developments. But she underlines that the festival organisers are not paying lip service to Chinese authorities. «Here we are not talking about a meeting with Xi Jinping. It is about the civic society,» she says and highlights the involvement in the festival of Chinese artists. «Of course, seen from the outside, China is an authoritarian state, but it is also an amazing culture». 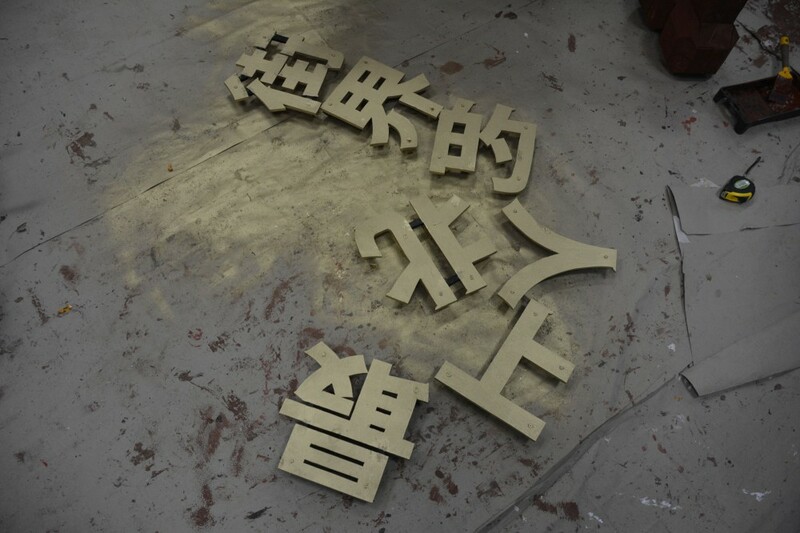 Among the Chinese participants is Lin Wang, a performance artist, and another five artists. In addition is an official delegation of cultural representatives from Harbin on site. Also diplomats from the Chinese embassy in Oslo are expected. In the festival opening event, a Russian ensemble stages a show about how a family travels along the so-called Polar Silk Road to settle in Kirkenes. «The audience will meet Aunt-Maria-fur-coat who, together with her children, have travelled along the polar silk road — from the mystical far-east to our Barents shores, a one-way mission to settle in The worlds Northernmost Chinatown,» the festival program reads. 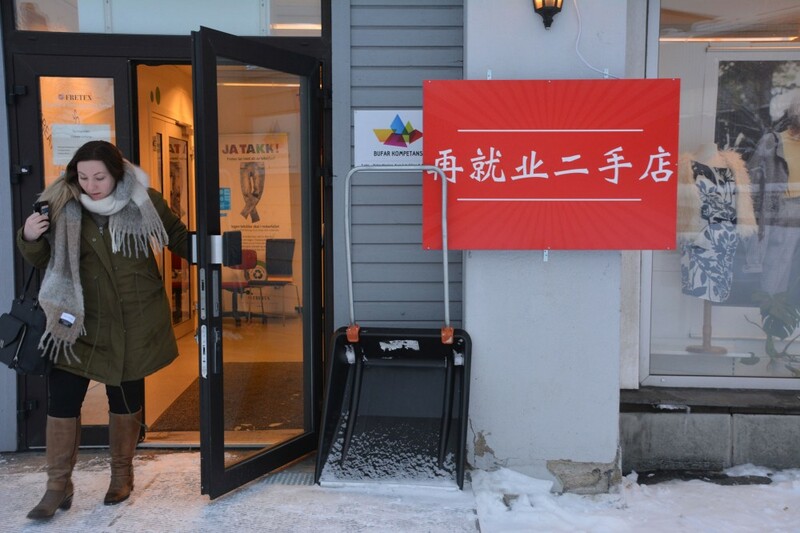 In the festival exhibition, which includes works by Norwegian, Russian and Chinese artists, the audience can «view Kirkenes through a lens of Chinese influence in the north,» the organisers say. And if she could decided herself, all chinatowns should have press freedom, freedom of speech and civil liberties. «Can this chinatown be a free haven? That is my personal wish, like it is for any town,» says artistic director Siljeholm.